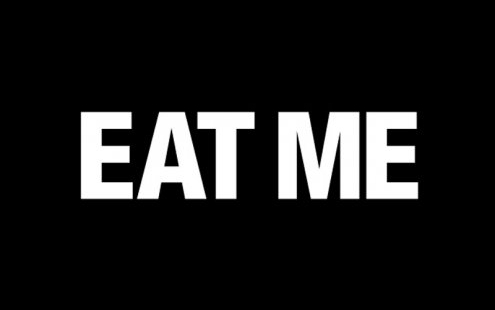 To celebrate the second anniversary of Alexander Wang Harbour City, Joyce and the Alexander Wang are proud to present the “Eat Me” campaign. During two consecutive weekends of 17 - 18 and 24 - 25 May, 2014, a specially designed Alexander Wang ice cream truck will be parked outside the boutique. From 2pm onwards on each day, the public can enjoy complimentary ice cream on a first come, first served basis. 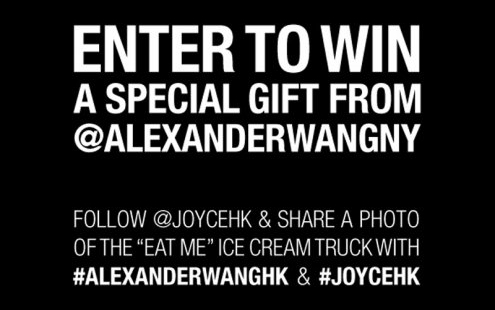 Please follow our official instagram @joycehk, capture your own “Eat Me” moment and tag us on #joycehk and #alexanderwanghk to enter the competition and hopefully win an Alexander Wang gift. Joyce will choose the hippest picture on each day during the aforementioned period. Four different prizes will be given, including a marble coaster set, a black leather teddy bear, a yoga mat and a domino set for the lucky winners! 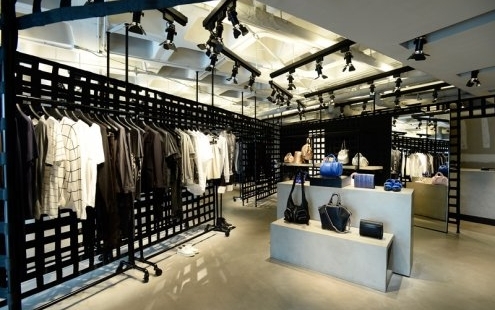 Alexander Wang : Shop G105, G/F, Gateway Arcade, Harbour City, Kowloon. This competition is open to Hong Kong residents aged over 18 with valid instagram accounts only. User’s privacy settings on instagram must be set to Public. Entry closes at HKT10pm each day of the 17th, 18th & 24th, 25th May. Each winner will be announced the day after each competition at HKT 10am on Joyce Instagram (Joycehk). Each winner will be selected by a judging panel at Joyce and will be contacted directly for the prize collection. The winner will then have 48 hours to respond or another winner will be selected.